Terrible news for vegetables, and therefore for all of us. Last Wednesday, a catastrophe happened which could collapse our entire food supply. And again we are not told about it, said Arjen Lubach Sunday in his program “Sunday with Lubach”. More than a third of all vegetable seeds in the world come from the Netherlands. Seeds are expensive and therefore large multinationals increasingly obtain patents for their vegetable varieties. Last Wednesday, the European Patent Office officially decided that it is permissible to patent vegetables. There was only one small article about this in the newspaper. In America, vegetable patents have long been the norm. 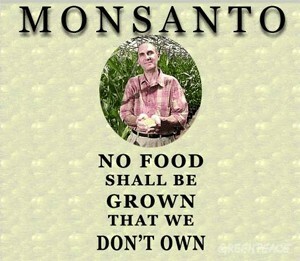 Monsanto is the leading vegetable patent holder in America. Most people are familiar with Monsanto’s herbicide, “Roundup”. Others know it as the producer of Agent Orange poison that was used in Vietnam to defoliate trees so America could shoot the Vietcong hiding there. In America, Monsanto claims vegetable one after another. They have thousands of patents and are driving small farmers out of the market. Monsanto are trying to push the US practice in Europe for a while. From this week on, the patent gate is wide open for the Syngenta Pepper and the Monsanto broccoli.